Expertly formulated to soothe and protect stretching skin, this bundle contains full-sized products of our Tummy Rub Scrub and best-selling Tummy Rub Butter. Start with The Tummy Rub Scrub to perfectly prepare skin for the application of The Tummy Rub Oil, helping it to penetrate more deeply and effectively. Soothe itchy tummies and help prevent stretch marks. 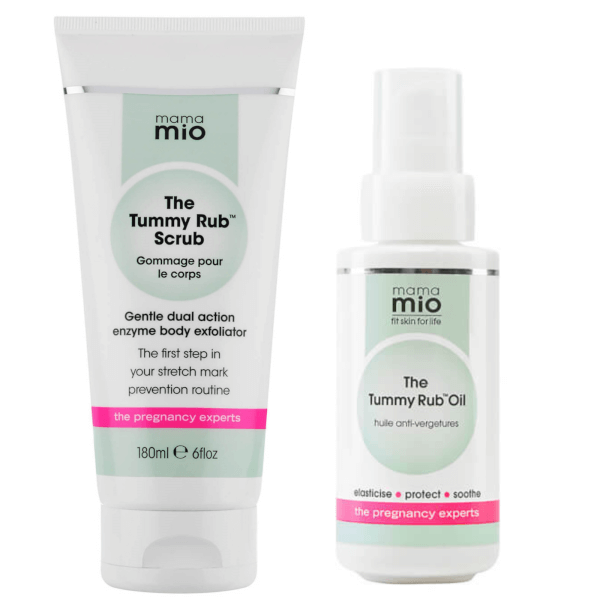 Polish and prep mama-to-be skin with The Tummy Rub Scrub, your first step to stretch mark prevention. This gentle and effective exfoliator uses fine particles of natural pumice, volcanic lava and bamboo extract to buff away dryness, revealing silky smooth skin that feels intensely hydrated.